Another stressful yet exciting party planning is about to start because, in less than 3 months, Cloud will turn 2 years old! Oh dear, please don’t grow too fast! I could still vividly remember the days and months where Hubby and I planning his 1st birthday. I started booking our suppliers as early as 6 months because I wanted his party to be perfect as possible it could be. I’m so glad that turned it out pretty well and everybody enjoyed it! Our Carnival-themed party was a blast! If you want to know about it, I wrote about the venue here, our suppliers’ ratings here, here, and here and some DIYs (Do-It-Yourself) here. Have fun reading! For today’s post, I will be sharing these 5 fun themes I consider for Cloud’s 2nd birthday. It may not look as extravagant as his 1st birthday e.g. budget, the number of guests and etc. but I want them to feel the same fun and excitement we had before. Hubby and I thought of Shakey’s as the venue because they have amusement center (in some branches) so kids can play while waiting for the party to start. But this isn’t final yet. I will keep you posted for updates. So what do you think? Which one is your favorite? I love the Nautical Theme and Vintage Airplane Theme the color is very appealing to the eyes. Do you have a blog post about birthday theme for girls as well? The first one is perfect for my son. He would love it so much! I think, my son would love the Dinosaur Theme! He mostly like wild animals than truck and cars. i love the truck theme. definitely suit best for my boy! My nephew is going to have truck theme for his 2nd birthday soon because he just adore those striking yellow vehicles. What great themes! I never did anything this fancy for parties though. I don't have the patience. But I do admire it when others do! Such epic themes of fun and creativity! my lil cousins birthday is coming up. This is perfect for ideas. i am a jungle girl, will always go for jungle theme!! others look good as well. I love all of these themes! My little boy would love the airplane and dinosaur theme. Pinning! Beautiful themes and love the ideas. Maybe can modify them for my girl. Very elaborate party ideas! I would prefer to celebrate birthdays in simple manner though. Everything looks great. I love the little sailor outfit too. So cute! Thanks for sharing all these wonderful themes. I don't have kids but totally understand how stressful it is to plan a party, especially for kids! They are all adorable but I would certainly like that airplane theme for myself…lol It appeals to the wanderer in me. I choose the Nautical! Mummy, can I have The Nautical for my next birthday? The themes looks so amazing. Can't pick a favorite right now as they all look incredible. Thanks for putting this up. Might come in handy soon! Always love about the birthday parties. Thanks for sharing. all look great, but i love the animal theme! so cuteeee! My son's birthday will be in March, he would love the dinosaur theme! I can't choose because I love all that themes. If my son is still young, I will have those themes in our small birthday party. I miss planning for birthday theme party. I will pin it for my son's birthday party. Thank you for the ideas. It helps a lot! 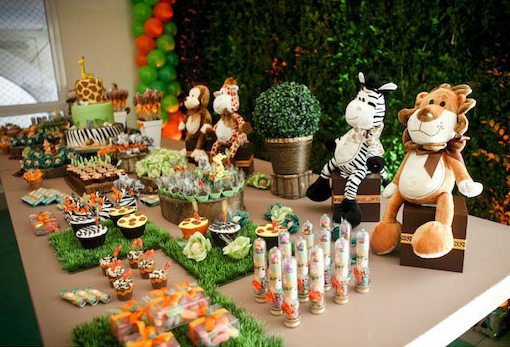 It was fun planning a party and I hope to plan one for my child in the future.